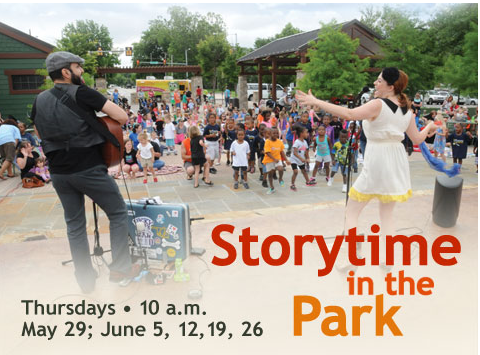 Being involved in the Storytime in the Park program put on by the Tulsa City County Library is a wonderful way to spend time with your child this summer.This is the Reading Roadshow with stories, songs and special programs for the community. This is free to the public. The schedule for June is listed below. For more information, contact www.TulsaLibrary.org. Please note that a Mobile Library will be on site with approximately 1000 items for all ages. Not sure on the weather, call 918-549-7323. If you live in another community, check out your Library’s programs for the summer. The Library tends to create lots of fun programs for children in the summer. Many of these programs will involve you as the parent. So enjoy this fun, educational time with your child. Isn’t it great to be able to combine fun, relationship building and something educational. Yes indeed! So bring your blanket or lawn chair and join in the fun.